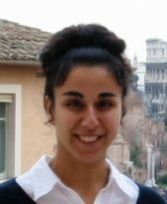 Dr Proochista Ariana is course director for the MSc in International Health and Tropical Medicine, Centre for Tropical Medicine and Global Health, Nuffield Department of Medicine. Her research empirically examines the relationship between processes of development and health in resource limited and transition contexts, appreciating the multidimensionality of both. Proochista holds a Masters in International Health from Harvard University, a Doctorate in International Development from University of Oxford as well as a Post Graduate Diploma in Learning and Teaching in Higher Education, also from Oxford. Background: Antimicrobial resistance (AMR) is a global health priority. Leading UK and global strategy papers to fight AMR recognise its social and behavioural dimensions, but current policy responses to improve the popular use of antimicrobials (eg, antibiotics) are limited to education and awareness-raising campaigns. In response to conceptual, methodological and empirical weaknesses of this approach, we study people's antibiotic-related health behaviour through three research questions.RQ1: What are the manifestations and determinants of problematic antibiotic use in patients' healthcare-seeking pathways?RQ2: Will people's exposure to antibiotic awareness activities entail changed behaviours that diffuse or dissipate within a network of competing healthcare practices?RQ3: Which proxy indicators facilitate the detection of problematic antibiotic behaviours across and within communities? Methods: We apply an interdisciplinary analytical framework that draws on the public health, medical anthropology, sociology and development economics literature. Our research involves social surveys of treatment-seeking behaviour among rural dwellers in northern Thailand (Chiang Rai) and southern Lao PDR (Salavan). We sample approximately 4800 adults to produce district-level representative and social network data. Additional 60 cognitive interviews facilitate survey instrument development and data interpretation. Our survey data analysis techniques include event sequence analysis (RQ1), multilevel regression (RQ1-3), social network analysis (RQ2) and latent class analysis (RQ3). Discussion: Social research in AMR is nascent, but our unprecedentedly detailed data on microlevel treatment-seeking behaviour can contribute an understanding of behaviour beyond awareness and free choice, highlighting, for example, decision-making constraints, problems of marginalisation and lacking access to healthcare and competing ideas about desirable behaviour. Trial registration number: NCT03241316; Pre-results. It is widely accepted that healthcare-seeking behaviour is neither limited to nor terminated by access to one single healthcare provider. Yet the sequential conceptualisation of healthcare-seeking processes has not diffused into quantitative research, which continues to analyse healthcare access as a "one-off" event. The ensuing lack of understanding healthcare behaviour is problematic in light of the immense burden of premature death especially in low- and middle-income countries. This paper presents an alternative approach. Based on a novel survey instrument, we analyse original survey data from rural India and China that contain 119 unique healthcare pathways among 637 respondents. We offer three applications of how such sequential data can be analysed to enhance our understanding of people's health behaviour. First, descriptive analysis of sequential data enables more a comprehensive representation of people's health behaviours, for example the time spent in various healthcare activities, common healthcare pathways across different groups, or shifts in healthcare provider access during a typical illness. Second, by analysing the effect of mobile technology on healthcare-seeking process characteristics, we demonstrate that conventional, sequence-insensitive indicators are potentially inconsistent and misleading approximations when compared to a more precise, sequence-sensitive measure. Third, we describe how sequential data enable transparent and flexible evaluations of people's healthcare behaviour. The example of a sequence-insensitive evaluation suggests that household wealth has no statistical link to an illustrative "ideal" form of public healthcare utilisation. In contrast, sequence-sensitive evaluations demonstrate that household wealth is associated with an increased likelihood of bypassing referral processes and approaching unregulated and costly informal and private practitioners before accessing a public clinic. Sequential data therefore do not only reveal otherwise neglected locational idiosyncrasies, but they also yield deeper insights into the drivers of people's health behaviours compared to a conventional approach to "access to healthcare." In many low- and middle-income countries (LMICs), a poor link between antibiotic policies and practices exists. Numerous contextual factors may influence the degree of antibiotic access, appropriateness of antibiotic provision, and actual use in communities. Therefore, improving appropriateness of antibiotic use in different communities in LMICs probably requires interventions tailored to the setting of interest, accounting for cultural context. Here we present the ABACUS study (AntiBiotic ACcess and USe), which employs a unique approach and infrastructure, enabling quantitative validation, contextualization of determinants, and cross-continent comparisons of antibiotic access and use. The community infrastructure for this study is the INDEPTH-Network (International Network for the Demographic Evaluation of Populations and Their Health in Developing Countries), which facilitates health and population research through an established health and demographic surveillance system. After an initial round of formative qualitative research with community members and antibiotic suppliers in three African and three Asian countries, household surveys will assess the appropriateness of antibiotic access, provision and use. Results from this sample will be validated against a systematically conducted inventory of suppliers. All potential antibiotic suppliers will be mapped and characterized. Subsequently, their supply of antibiotics to the community will be measured through customer exit interviews, which tend to be more reliable than bulk purchase or sales data. Discrepancies identified between reported and observed antibiotic practices will be investigated in further qualitative interviews. Amartya Sen's Capability Approach will be employed to identify the conversion factors that determine whether or not, and the extent to which appropriate provision of antibiotics may lead to appropriate access and use of antibiotics. Currently, the study is ongoing and expected to conclude by 2019. ABACUS will provide important new insights into antibiotic practices in LMICs to inform social interventions aimed at promoting optimal antibiotic use, thereby preserving antibiotic effectiveness. © 2017 The Authors After three decades of mobile phone diffusion, thousands of mobile-phone-based health projects worldwide (“mHealth”), and hundreds of thousands of smartphone health applications, fundamental questions about the effect of phone diffusion on people's healthcare behavior continue to remain unanswered. This study investigated whether, in the absence of specific mHealth interventions, people make different healthcare decisions if they use mobile phones during an illness. Following mainstream narratives, we hypothesized that phone use during an illness (a) increases and (b) accelerates healthcare access. Our study was based on original survey data from 800 respondents in rural Rajasthan (India) and Gansu (China), sampled from the general adult population in 2014 in a three-stage stratified cluster random sampling design. We analyzed single- and multi-level logistic, Poisson, and negative binomial regression models with cluster-robust standard errors. Contrary to other research at the intersection of mobile phones and healthcare, we captured actual health-related mobile phone use during people's illnesses irrespective of whether they own a phone. Our analysis produced the first quantitative micro-evidence that patients’ personal mobile phone use is correlated with their healthcare decisions. Despite a positive association between phone use and healthcare access, health-related phone use was also linked to delayed access to public doctors and nurses. We considered theoretical explanations for the observed patterns by augmenting transaction cost and information deficit arguments with the prevailing health system configuration and with notions of heuristic decision-making during the healthcare-seeking process. Our study was a first step toward understanding the implications of mobile technology diffusion on health behavior in low- and middle-income countries in the absence of specific mHealth interventions. Future research will have to explore the causal relationships underlying these statistical associations. Such a link could potentially mean that development interventions aimed at improving access to healthcare continue to require conventional solutions to sustain healthcare equity. © 2017 The Author(s). Published by Informa UK Limited, trading as Taylor & Francis Group. Increasing scholarly attention has focussed on how to integrate technology within the Capability Approach (CA), yet without a consistent solution. Some describe technology as a special kind of capability input, but others consider the concept of technology to be fundamentally different from that of an ordinary input. We aim to contribute to the theoretical development of the CA by offering a consistent justification for the explicit inclusion of technology in this framework. We propose that technical objects have a ‘generative’ and a ‘transformative’ dimension through which they enable capabilities directly and affect other inputs in the attainment of valued capabilities. The objects acquire the transformative dimension from the broader technological context, which we propose as a new class of conversion factors. Using the example of mobile phones and their role in healthcare access, we demonstrate that our proposal helps to frame the analysis of the development impact of technology. This article investigates demand-side efficiency in global health-or the efficiency with which health system users convert public health resources into health outcomes. We introduce and explain the concept of demand-side efficiency as well as quantitative methods to empirically estimate it. Using a robust nonparametric form of technical efficiency analysis, we estimate demand side efficiency and its social determinants. We pilot these methods looking at how efficiently pregnant women in Northern Vietnam convert public health resources into appropriate maternal care as defined by national policy. We find that women who live in non-mountainous geographies, who are formally employed, who are pregnant with a boy and who are ethnic minorities are all more likely to be efficient at achieving appropriate care. We find no significant association between wealth or education and efficiency. Our results suggest that, in the Vietnamese context, women who are the most likely to achieve appropriate maternal care, are not necessarily the most likely to do so efficiently. Women who live in non-mountainous geographies and who are formally employed are both more likely to achieve appropriate care and to do so efficiently. Yet ethnic minority women, who do not systematically achieve better care, are more likely to be efficient or to achieve better care when compared with those with the same endowment of public health resources. On the methodological level, the pilot highlights that this approach can provide useful information for policy by identifying which groups of people are more and less likely to be efficient. By understanding which groups are more likely to be efficient-and in turn how and why-it may be possible to devise policies to promote the drivers of, or conversely address the constraints to, optimizing demand-side efficiency. OBJECTIVE: To determine the prevalence of and factors associated with childhood overweight and obesity among a cohort of children 7-8 years of age in Peru. METHODS: This was a cross-sectional secondary analysis of data from the Young Lives longitudinal study of childhood poverty. The sample was a cohort of 1 737 children 7-8 years of age in 2009. Prevalence of overweight and obesity was assessed using body mass index-forage Z-scores. Logistic regression was used to determine associations with a number of individual, household, and community factors. RESULTS: Prevalences of overweight and obesity were 19.2% and 8.6%, respectively. A prevalence of 32.0% and 23.5% overweight and obesity was found among males and females, respectively. High socioeconomic status, living in Lima, having a mother who was overweight or obese, being male, and being an only child or having only one sibling were associated with being overweight and obese at this age. CONCLUSIONS: This study shows a high prevalence of childhood and maternal overweight and obesity in Peru. In contrast to findings in many high-income countries, the findings in Peru indicate that children from wealthier households were more likely to be overweight or obese than those from poorer households. In addition, there is something particularly obesogenic about the Lima environment that merits further investigation, and several key issues to consider when targeting future interventions and research. OBJECTIVE: To explore the experiences of mothers employed through the Mahatma Gandhi National Rural Employment Guarantee Act (MGNREGA) using focus group discussions (FGDs) to understand the impact of mothers' employment on infant feeding and care. The effects of mothers' employment on nutritional status of children could be variable. It could lead to increased household income, but could also compromise child care and feeding. SETTING: The study was undertaken in the Dungarpur district of Rajasthan, India. PARTICIPANTS: Mothers of infants <12 months of age. Ten FGDs, two in each of the five administrative blocks of the study district were conducted. The groups were composed of a minimum of 5 and maximum of 8 participants, giving a total of 62 mothers. Thematic analysis was conducted to assess patterns and generate emergent themes. RESULTS: Four major themes were identified-'mothers' employment compromises infant feeding and care', 'caregivers' inability to substitute mothers' care', 'compromises related to childcare and feeding outweigh benefits from MGNREGA' and 'employment as disempowering'. Mothers felt that the comprises to infant care and feeding due to long hours of work, lack of alternative adequate care arrangements, low wages and delayed payments outweighed the benefits from the scheme. CONCLUSIONS: This study provides an account of the trade-off between mothers' employment and child care. It provides an understanding of the household power relationships, societal and cultural factors that modulate the effects of mothers' employment. From the perspective of mothers, it helps to understand the benefits and problems related to providing employment to women with infants in the MGNREGA scheme and make a case to pursue policy changes to improve their working conditions. OBJECTIVES: Analyse the effect of the Mahatma Gandhi National Rural Employment Guarantee Act (MGNREGA), a wage-for-employment policy of the Indian Government, on infant malnutrition and delineate the pathways through which MGNREGA affects infant malnutrition. HYPOTHESIS: MGNREGA could reduce infant malnutrition through positive effects on household food security and infant feeding. METHOD: Mixed methods using cross-sectional study and focus group discussions conducted in Dungarpur district, Rajasthan, India. PARTICIPANTS: Infants aged 1 to <12 months and their mothers/caregivers. Final sample 528 households with 1056 participants, response rate 89.6%. Selected households were divided into MGNREGA-households and non-MGNREGA-households based on participation in MGNREGA between August-2010 and September-2011. OUTCOMES: Infant malnutrition measured using anthropometric indicators - underweight, stunting, and wasting (WHO criteria). RESULTS: We included 528 households with 1,056 participants. Out of 528, 281 households took part in MGNREGA between August'10, and September'11. Prevalence of wasting was 39%, stunting 24%, and underweight 50%. Households participating in MGNREGA were less likely to have wasted infants (OR 0·57, 95% CI 0·37-0·89, p = 0·014) and less likely to have underweight infants (OR 0·48, 95% CI 0·30-0·76, p = 0·002) than non-participating households. Stunting did not differ significantly between groups. We did 11 focus group discussions with 62 mothers. Although MGNREGA reduced starvation, it did not provide the desired benefits because of lower than standard wages and delayed payments. Results from path analysis did not support existence of an effect through household food security and infant feeding, but suggested a pathway of effect through low birth-weight. CONCLUSION: Participation in MGNREGA was associated with reduced infant malnutrition possibly mediated indirectly via improved birth-weight rather than by improved infant feeding. Addressing factors such as lack of mothers' knowledge and inappropriate feeding practices, over and above the social and economic policies, is key in efforts to reduce infant malnutrition. INTRODUCTION: Despite continuing efforts to promote skilled institutional delivery, eight women die every hour in India due to causes related to pregnancy and child birth. The objectives of this study were to assess the prevalence and the determinants of institutional delivery by skilled birth attendants in a rural population in Andhra Pradesh, India. METHODS: This cross-sectional study used data from 'Young Lives', a longitudinal study on childhood poverty, and the study population was a cohort of 1419 rural, economically deprived women (from the Young Lives study) in Andhra Pradesh, India. The data are from round-1 of Young Lives younger cohort recruited in 2002 and followed until 2015. The participation rate of households was 99.5%. RESULTS: Prevalence of skilled institutional delivery was 36.8%. Women's education (odds ratio [OR] for secondary education 2.06; 95% confidence interval [95%CI] 1.33-3.19), desire to be pregnant (OR 1.89; 95% CI 1.12-3.22) and adequate prenatal care (OR 1.69; 95% CI 1.30-2.21) were found to be the positive determinants of skilled institutional delivery. High birth order (OR for second birth 0.44; 95% CI 0.32-0.60, OR for third birth 0.47; 95% CI 0.30-0.72 and OR for ≥fourth 0.47; 95% CI 0.27-0.81), schedule caste/schedule tribe social background (OR 0.70; 95% CI 0.53-0.93) and poor economic status of the household (OR for the poorest households 0.67; 95% CI 0.46-0.99) were negatively associated with skilled institutional delivery. CONCLUSIONS: Despite existence of supporting schemes, the utilisation of skilled institutional delivery services was low in the study population. Educated women and women with adequate prenatal care who have a desired pregnancy were more likely to utilise health institutions and skilled delivery care. There is a need for integrated approaches through maternal health, family planning and education programs, and a focus on uneducated, poor women belonging to disadvantaged social groups. In the context of development, considerable attention is paid to population health, usually interpreted according to mortality rates or burden of disease estimates. However, health is more complex than such physical indices can convey. This is particularly evident among many contemporary indigenous communities whose concepts of well-being extend well beyond conventional biomedical measures. Such misalignment of perspectives can have implications for how the health effects of development are determined. To gauge the relevance of alternative perspectives, indigenous notions of health among Highland communities in Chiapas, Mexico are examined. This paper begins with a historical account of health and healing rituals in the region, then describes current beliefs and practices among a set of Highland communities. © 2012 Copyright Oxford Department of International Development. Young Lives is an international longitudinal study investigating the changing nature of childhood poverty in four low-income countries [Ethiopia, India (Andhra Pradesh), Peru and Vietnam] over a 15-year period. In each country, the cohort is comprised of ≈ 2000 children aged between 6 and 18 months and up to 1000 children aged between 7 and 8 years, recruited in 2002 and sampled from 20 sentinel sites. The first survey data collection from primary caregivers and older children took place in 2002, the second in 2006-07 and the third in 2009-10. Data on the community contexts were collected to complement the household surveys. To elaborate and extend the quantitative data, longitudinal qualitative research with a subgroup of the children was carried out in 2007, 2008 and 2010-11. Topic areas covered included nutrition, health and well-being, cognitive and physical development, health behaviours and education, as well as the social, demographic and economic status of the household. Survey data from the study are archived in the International Section of the UK Public Data Archive.